As our phase of life changes and we transition into our new lifestyle, I find that I connect with people a little bit differently now. I’ve come to dread family get-togethers where the main focus is gifts, food, and sitting around. I need something to do. So lately I’ve been fantasizing about a Holiday Getaway and just what a trip like that would entail. We’re a large family, so in general, our kids have built-in playmates wherever we go. But since travel is a big part of our new life, what makes it special is who else we invite along. And what’s more fun than inviting beloved family members to adventure along or friends with similar-aged kids and adventurous spirits? It’s important for Josh and me to have “playmates,” too! For my daydream trip here, I’d totally love to invite out my bestie from high school and her family. They’ve got a lot of kids like us, so it’d be loud, but so much fun! Location is such a cornerstone piece. It’s important that the climate makes everyone comfortable, and there are plenty of things around to suit everyone’s tastes. It also needs to be somewhere that fits the overall budget of everyone concerned. Lately, I’ve fallen in love with Palm Springs and the surrounding area. I don’t think I ever realized just how much there is do to there. And it’s pretty much perfect year round (except maybe the dead of summer, if you plan to be outside a lot). For a get-together right after Christmas, it would be absolutely perfect. Seriously, I just checked the weather and as we head into the New Year, they have highs in the 60s almost daily. Let me preface this with saying that “desirable” accommodations depend entirely on your family and what you like to actually do once you’re there. 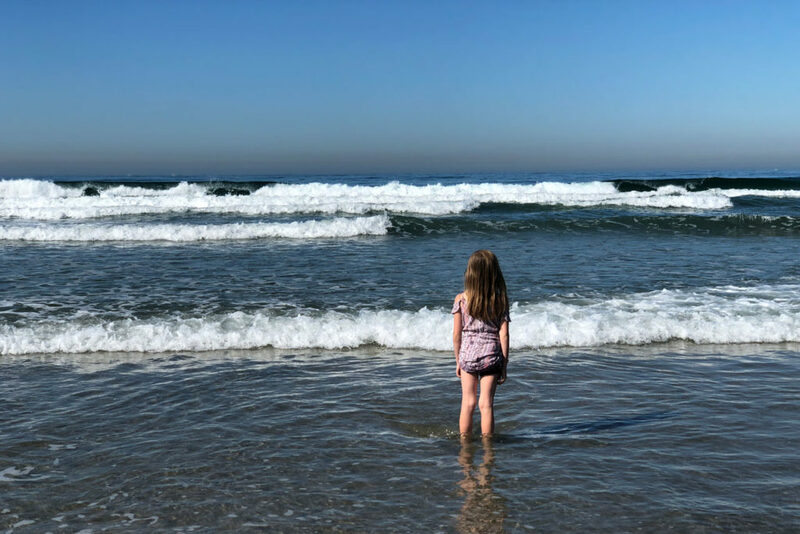 If you are the type of family that is constantly on the go and your digs are just a staging point where you crash between adventures, then your needs are different than a family that just stays put the whole time and relaxes (chillaxes?). Our family is a mix, and of course, in this daydream, we have other people’s needs to consider, too. When planning for this many people, I think it’s a great option to pick more of a resort-style space so that even when part of your crew wants to relax in the room, there’s plenty of on-site things for those who just can’t sit still. In the Palm Springs area, hands down, my choice would be the Miramonte Indian Wells Resort & Spa. 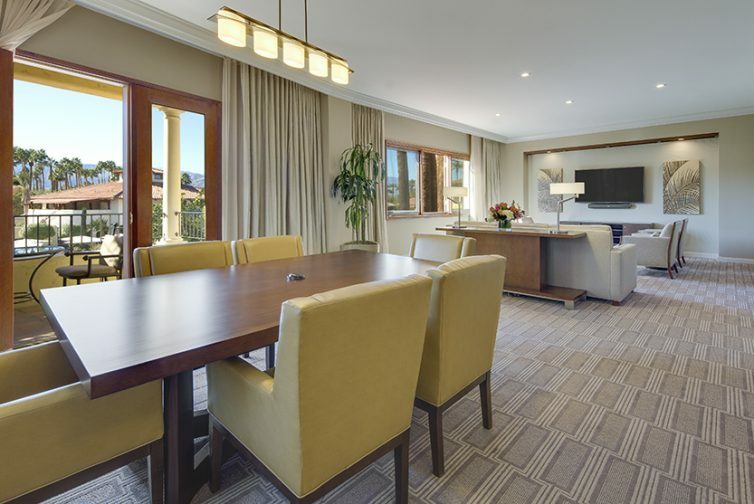 This picturesque resort offers suites that can accommodate our entire brood (with living areas perfect for inviting others to join us for meals or game night), as well as well-appointed regular guest rooms. In between the buildings you’ll find lots of outdoor spaces to explore with large, welcoming fire pits, lawn games, and multiple pools. The kids can run and carry on and get their energy out without annoying fellow guests, and I don’t have to tell you how rare a find that is! Of course, you have to eat—multiple times a day, even. When we travel for more than a day, I like to know that I have options that won’t break the bank and won’t make every meal a nightmare trying to find something everyone will eat. For that reason, I’d hesitate to pick a resort or area that’s somewhat remote or has limited food options. With a larger group of people, that’s a quick route to hungry, crabby travel mates and a sour trip. The Miramonte boasts a wonderful on-site restaurant, Citrus & Palm, that focuses on locally sourced ingredients, but isn’t so “foodie” that the picky eaters in your tribe won’t be able to find something. The on-site bar is great for a drink and cozy place to sit and chat, too. Beyond the resort, the Palm Springs area offers a wide array of food options. 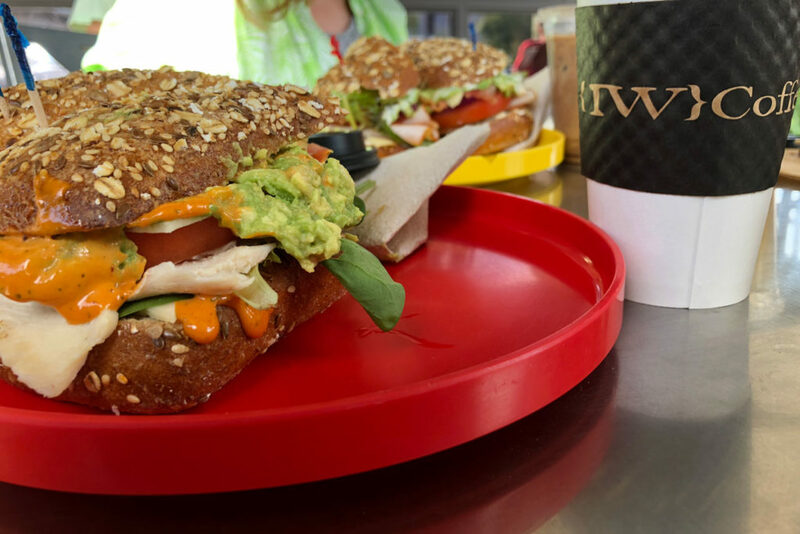 My favorites from a recent visit were IW Coffee (amazing espresso drinks, and a good place to grab a sandwich—even offered gluten-free and vegan options) and Tommy Bahama. Friends of mine really enjoyed Domo for sushi, too. Because some of you might actually want to leave the resort and go DO something. It’s really important to talk with your travel mates beforehand and make sure that the area you pick has activities that appeal to everyone. And again, remember the budget aspect! Of course, the Miramonte offers lawn games and plenty of spaces to sit and enjoy, but they also offer bike rentals, and a beautiful spa (because sometimes the only thing you want to do—is relax). In the Palm Springs area though, there are plenty of things to do. And that includes plenty of free things to do. (You can see a list of 30 free activitie here.) 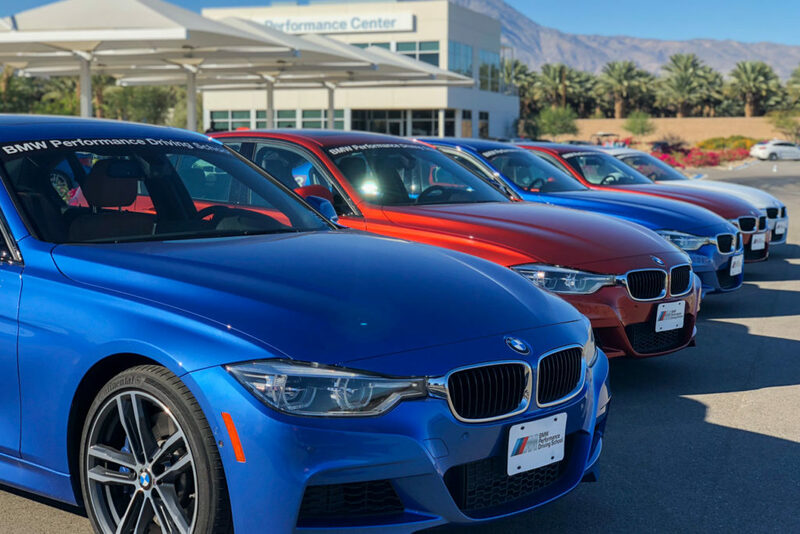 For the adventurous in spirit, I’d highly recommend a visit to the BMW Performance Center. 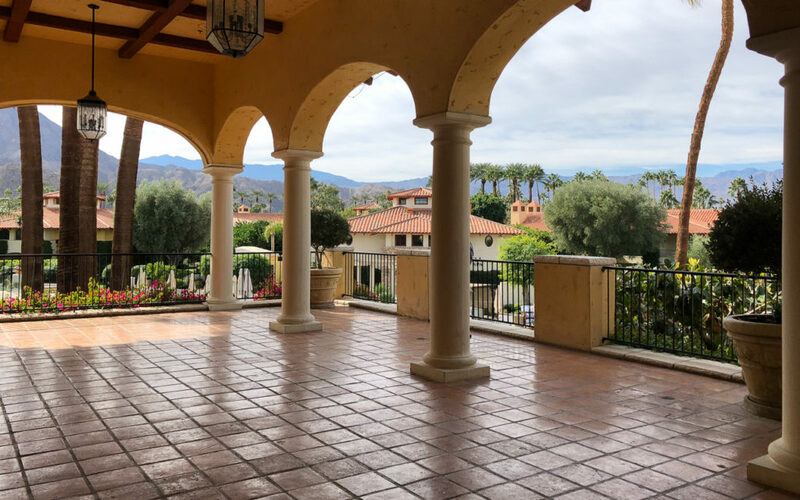 You’ll also find plenty of shopping in the El Paseo Shopping District, over 100 renowned golf courses, and plenty of natural spaces to explore. Let’s face it, it’s hard to be bored in Palm Springs…unless that’s what you want to be. And now I think it’s time to stop daydreaming and plan this getaway for real! If you were planning a get away to Palm Springs and the surrounding area, what would be the top thing on your list to do or experience? My stay at the Miramonte was sponsored by A Girls Guide to Cars during our #Drive2Learn event. All opinions are, as always, completely my own. Want to win a getaway to Palm Springs?